a happy wednesday. | there's no place like gnome. For a day that started off with me sitting in the lounge at the toyota dealership and shelling out a couple hundred bucks for needed repairs on Sprocket, it turned into a happy wednesday. Why the happiness? I finally saw the last Harry Potter movie. Cousin Colin and I went in fear. In fear that we would cry a lot. In fear that we would be so sad that it’s come to an end. In the car ride to the theater, we both said more than once, “I’m not sure I’m ready for this.” Ready or not, two weeks past release, we watched the Harry Potter saga end. What did I think? I’m still processing. I received these in the mail today. Quite honestly, they are more beautiful than I ever expected them to be. I love them. I love them a lot. [I’ve been crushing on these bowls from Anthropologie for well over a half year. This set was bought as an ordination gift and shipped to me.] 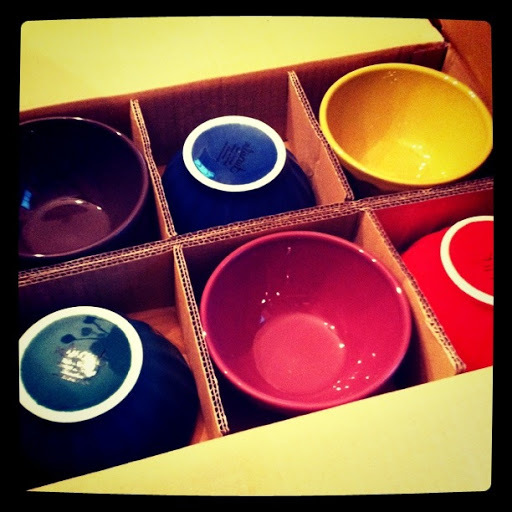 I’m in love … with latte bowls. I spent nearly an hour in phone conversation with a friend. The reason for the call was not happy to begin but it was great to connect. Miss her. I received a reusable sandwich/snack bag from the Reilly clan [who are also behind the bowls!]. I’ve actually been meaning to sew a few of these – I think the idea of reusing baggies like this is genius. Now I’ve received one that matches my lunchbox in theme – gnome. 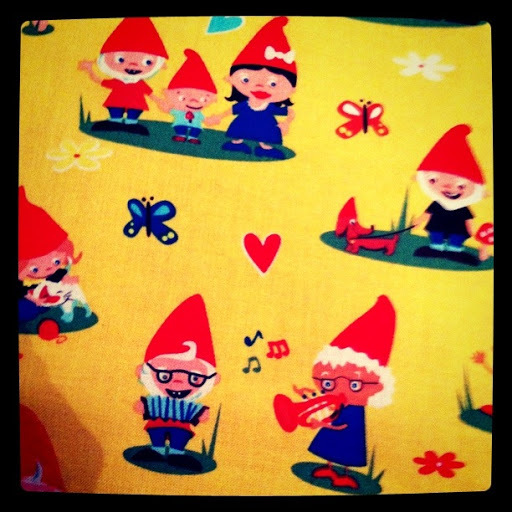 The sandwich bag reminds me that gnomes also walk their dogs, have gardens, play trumpet, and may possess creepy teeth. Yes, yes, yes…we'd love to see you:)!